LWA believes it is very important to track your Heart Rate in your “Zones” during a workout. The intensity at which your heart beats during a workout session plays a significant role in your metabolic rate. It indicates how effective you are in the session, what fuel source your body is tapping into for the session, and increases the amount of calories you burn at rest. The Science behind Exercise is a necessary tool for effectiveness; to make the most out of each workout! to create our training schedule? LWA strives for the highest level of training. 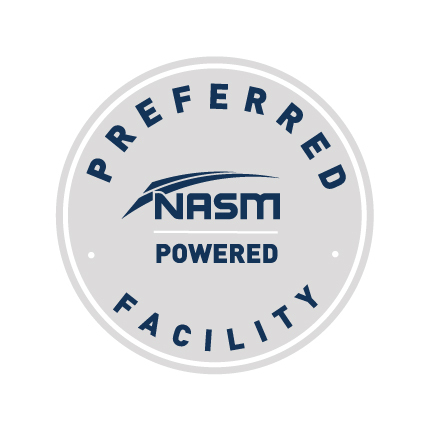 By following NASM guidelines and using an Exercise Scientist to create our training sessions, we feel confident you will receive the best in Heart Rate Training and receive the most information on The Science of Exercise while using more modalities than other training centers in our area. Ronnie Hreha with his Master’s in Exercise Science and his high level coaching experience; he understands what is needed to train extensively towards a goal. LWA is proud to have him as our Heart Rate Training Director and coordinator of exercise schedules. In addition to working with us, Hreha is currently working with Carolina Elite Soccer Academy as the Assistant Director of Sports Science. He is also contracted by the United States Soccer Federation Youth as the Team’s Physiologist for training camps. Recently, he held the FC Dallas Tri-Cities as the Director of Sports Science and Director of Goalkeeping titles. Three years prior, he was the Assistant Coach and Director of Goalkeeping with the Appalachian State D1 Men’s Soccer Program. Hreha is well versed in different peak performance systems and highly trained to work with athletes in Sport Science. During his stay at App State he helped build their program with the New Peak Performance Training System of GPS and Heart Rate Monitors. At HFTSC and LWA, he works with Polar Heart Rate Training Systems. At USSF National Teams he does extensive work and reporting with STAT Sports System. In addition to system knowledge, reporting and presenting, he has worked to obtain high level education and certifications. Along with his master’s degree, he holds a United States Soccer Federation NCYSA National “C” License, NSCAA Goalkeeper I &II Certifications, and is an AFAA Certified Personal Trainer. As you can see, LWA takes the Science of Exercise seriously. ...And Why You Should Do It! Knowing the zones, and training in each zone effectively, is key to overall fitness gains. Without heart rate monitors, we saw our members struggling to spot when they were training at the right – or the wrong – intensity. Their light endurance cardio sessions were under the zone and not getting into a good level of training for endurance. As well as, the higher sessions for cardio building (HIIT or Sprint) were too high at the top end with not enough recovery. This leads to ineffective cardio (aerobic) building and can also lead to overuse injuries. With heart rate monitors showing exactly where they are training, we see those same ladies mastering training sessions, building cardio successfully, and in effect reassessing fitness goals to higher than expected levels with little to no overuse injuries! This new technology adds an element of science to every workout Session; this adds in the ultimate element of “Smart Training”. Along with Heart Rate Training tools from Polar, we are also an "Official Spin Center" and proudly work on building Cardiovascular following their guidelines. Here is some educational information from Spinning . "Aerobic Exercise results in improvements in both resting heart rate and recovery heart rate. As a result of aerobic exercise, the heart becomes a more efficient pump, meaning that the heart muscle becomes stronger and can contract more forcefully. So cardiovascular exercise decreases resting heart rate (e.g., the volume of blood that used to take the heart 60 bpm to deliver to the body now only takes 52 bpm). When the heart is well-conditioned, it also recovers from intense bouts of activity at a quicker rate—this is known as recovery heart rate. The mechanism responsible for this adaptation is called excess post-exercise oxygen consumption (EPOC). This is a process in which the rate of oxygen intake following moderate to high-intensity exercise is increased to manage the body’s oxygen debt after activity. As a result, the body is able to return to a “resting state.” The efficiency in which the process occurs is dependent upon one’s cardiovascular fitness level; as cardiovascular fitness improves, so does EPOC." Knowledge is Power! LWA loves their clients to be informed! 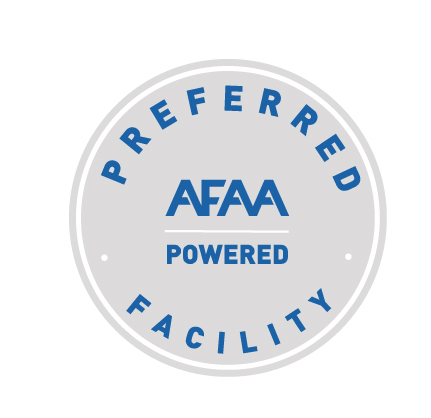 Ladies Workout Asheville is proudly partnered with the National Academy of Sport's Medicine and follow their exclusive Optimum Performance Training (OPT™) model, "one of the industry's first comprehensive training system based on scientific, evidence-based research. It takes the guesswork out of program design and helps you produce consistent and remarkable results".